Alistair McGowen is a fantastic spokesperson, obviously because of his comedic talents but also his ability to get his message across in a simple yet memorable way. His impressions and light outlook on life makes him a great spokesperson. If you're interested in a comedian for any radio or TV interviews please get in contact with us. 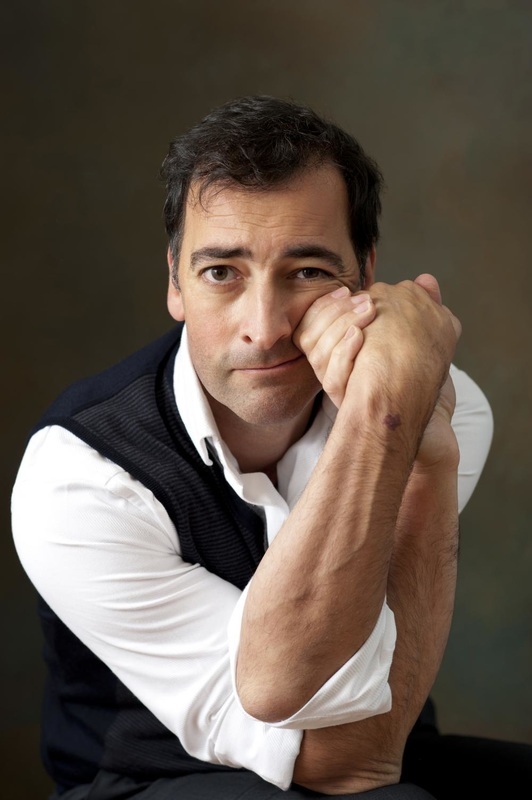 Alistair McGowan (born 24th November 1964) is an impressionist, stand-up comic, actor and writer best known to British audiences for 'The Big Impression' which was, for four years, one of BBC1's top-rating comedy programmes - winning numerous awards, including a BAFTA in 2003. He has most recently been playing the title role in Jonathan Maitland's play, 'An Audience With Jimmy Savile' at The Park Theatre in London and at the Edinburgh Fringe. His performance received universally rave reviews. The spring of 2015 also saw him embark on a short stand-up tour with Jasper Carrott - more dates have been added for the autumn of 2015. In 2014, he played Professor Henry Higgins in a 16-week theatre tour - alongside Jamie Foreman as Doolittle and Rula Lenska as Mrs Higgins. He has worked extensively in theatre throughout his career and appeared in the West End in 'Art', as The Emcee in 'Cabaret', the Mikado in 'The Mikado', Henry Higgins in 'Pygmalion' and The Dentist in 'Little Shop of Horrors' (for which he received an Olivier nomination). Most recently on televison he has been seen living as a Victorian in BBC One's '24 Hours in The Past'. As an actor on television he played Piero de Medici in 'Leonardo' for CBBC and took the lead lead role in BBC1's 'Mayo' (co-writing several episodes). He has also appeared on the big screen as Nico in 'Driving Aphrodite' with Nia Vardalos and Richard Dreyfuss. 'He wrote the play 'Timing' (nominated for 'Best New Comedy' at the whatsonstage.com awards), the radio play 'Three Pieces In The Shape of a Pear' about Erik Satie (Radio 4 - Listen Here:) and the book 'How To Wean Your Man Off Football' with former comedy partner, Ronni Ancona. His love of sport has seen him appear four times as a guest on 'A Question of Sport' and he has also been part of Radio Five Live's Wimbledon commentary team. He is also fondly remembered by football fans, players and managers of a certain age for his groundbreaking 'Backchat' Videos which made his name in the mid-1990s. ​He has directed Noel Coward's 'Semi-Monde' at The Guidhall School of Music and Drama and 'The Mikado' and 'Pirates of Penzance' for Raymond Gubbay. His love of classical music has also seen him introduce a 'live' concert fro Radio 3 and feature as a guest on Radio 3's 'Essential Classsics'. 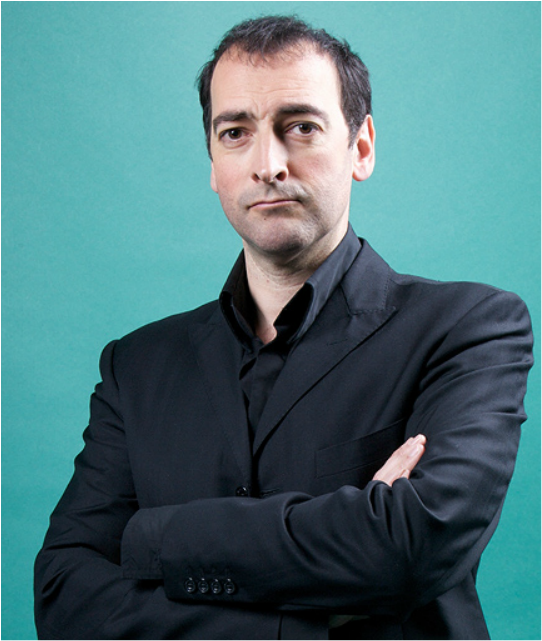 He presented ITV1's sports comedy show 'You Cannot Be Serious' and has also featured on 'Bake Off For Comic Relief', 'Mock The Week', has been seen on 'Live At The Apollo' and began his career by providing voices for the iconic 'Spitting Image'.